Running in Savannah, Georgia. 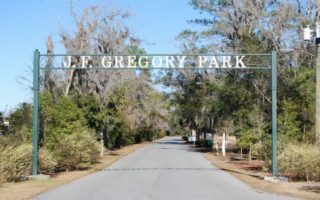 Best routes and places to run in Savannah. With its historic buildings, beautiful cobblestone streets, and tree-filled parks, Savannah has been called one of the most beautiful small cities in America. Owing to its history, beauty, and geography, it is a popular tourist destination — with a population of only 150,000, it attracts some 5 million visitors annually. 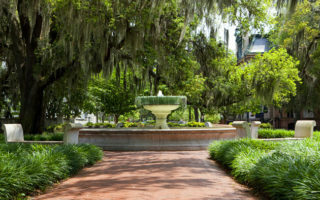 Savannah’s highlight is the downtown area and waterfront, with 22 park squares throughout the compact historic district, each shaded by lush magnolias and filled with Greek fountains, obelisks, and statues. This is our guide to running in Savannah, Georgia. From sightseeing runs downtown and on the riverfront to scenic paths through Savannah’s moss-covered oak tree tunnels, Savannah is also a running haven. 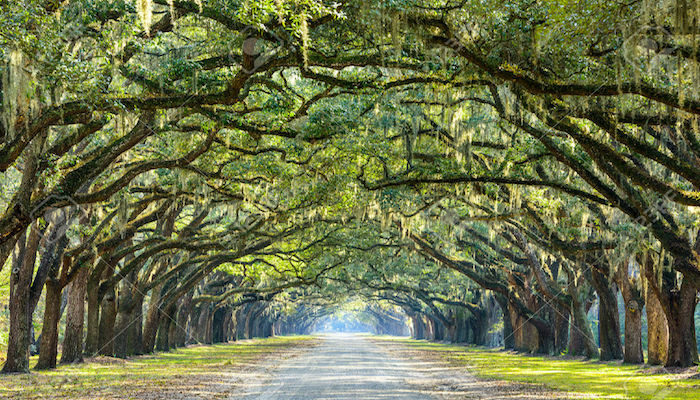 Our highlights include a downtown, ‘historic Savannah’ tour, Forsyth and Daffin Parks, the McQueen Island Rail Trail along the Savannah river, Tybee Island Beach, and the oak-lined avenue of Wormsloe Plantation. 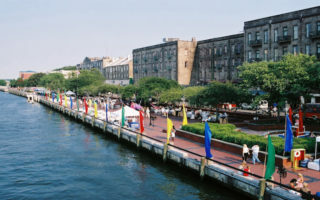 Travelers often combine a visit to Savannah with a tour of Charleston, SC and perhaps a visit to the resorts on Hilton Head Island and Kiawah Island – all within about 100 miles of each other. We’ve got great routes for all those spots! Note that on the north side of the river, you are in South Carolina. 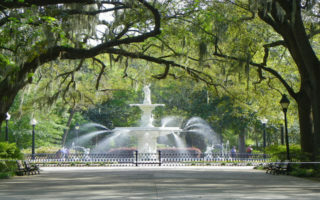 The signature park in Savannah’s historic district. 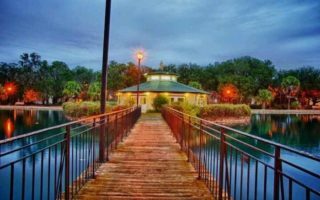 Walking paths, a large fountain, live oaks & azaleas, and recreational facilities. There are about 1.5 miles of interior walking paths or a loop around the perimeter is 1.2 miles. The 'Forsyth-Daffin Duo is a run through Savannah's two signature parks, with Bull St. and Washington St. as the connectors. It's about 1 mile between the parks. Daffin Park has a 1.5 rubberized running trail. 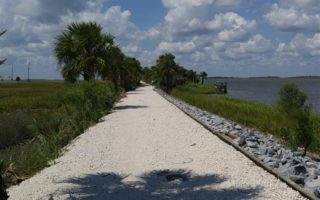 A wonderful rail trail connecting the Fort Pulaski National Monument with Tybee Island. Run along the salt marshes with great views of Cockspur Island. The trail is 6+ miles one-way. 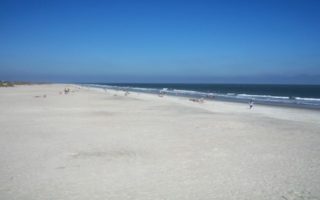 The best beach running in the Savannah area. Nearly 3 miles of continuous, flat beach from the lighthouse to Back Beach, with hard, packed sand. 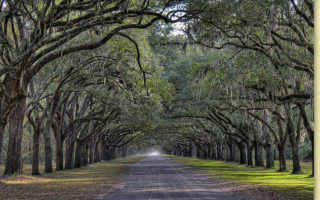 Enjoy the 1.4 mile run around Lake Mayer, and then run 1.5 miles over to the former Wormsloe plantation, for a jaunt along the famous wide avenue lined with gorgeous live oaks. Even more: Isle of Hope. Pleasant park in the Richmond Hill area, 20 miles south of Savannah. There's a 3 mile nature trail, 10 acre lake, and other facilities. as delightful running weather, except perhaps for the height of summer. 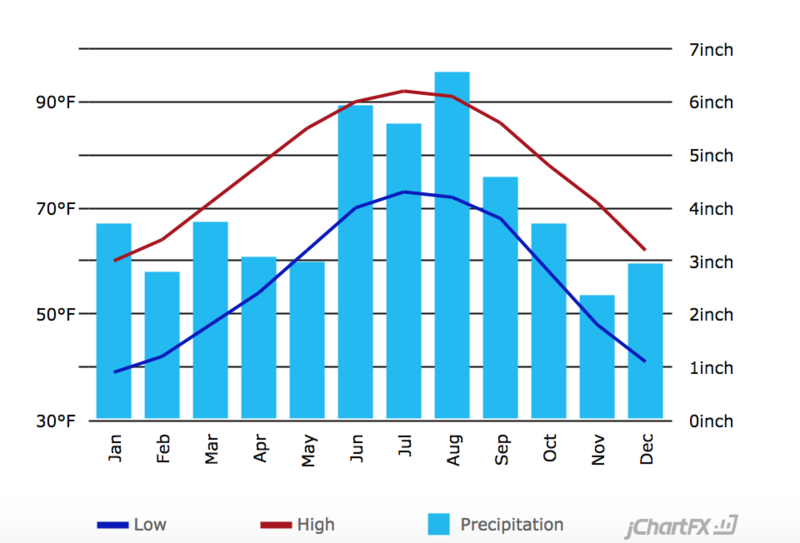 Winter temps are mild and wonderful for running, with average January highs around 60F (16C) and less rainfall than summer. Temperatures rarely go below freezing, but a jacket for cool nights/morning are recommended. Spring is fantastic, with warm days, and everything in bloom. You won’t want to leave. Summers are hot and humid, with temps in the low 90s (32-34C), muggy nights, and lots of rain, delivered by frequent thunderstorms. Fall, like the spring, is delightful and a bit drier. Best bet is to stay in Savannah’s compact and very walkable downtown area. There’s a great selection of places to stay within this 2.5 square mile area, from major chain hotels to Inns and B&Bs. It’s about 1 mile from Forsyth Park to the river. There are also lovely residential areas just to the south of the park, and several grand inns and B&Bs bordering the park. A couple of the nicer hotels are also along the river. There are three independent running stores in Savannah. Georgia Game Changers: Savannah and Richmond Hill locations. Group Runs: Savannah location Wednesday 6pm; Richmond Hill location Tuesday 6pm; Track work Thursday nights at Richmond Hill High School. Fleet Feet Savannah. Active store with lots of events.